Orange Farm Equipments is an ISO Certified (9001:2008) Manufacturers and Suppliers of high-performance power reaper. We are the pioneers in manufacturing innovative high quality reaper brand named as "Vardhaman Power Reaper" suitable for cutting all types of farming crops in India. We provide High Quality Farm Equipment designed to enhance the farm operator's efficiency, safety & profitability. We endevour to consistently provide innovative Farming Equipment of a World Class Standard, at an affordable price with reliability of supply and after sales service. We are associated with farmers since 1985 and working along them to make agriculture more productive and sustainable. As of today, our company has developed ultramodern equipment continuously reinvented as per the changing farming methods over the years. Hence, we have emerged a reliable name in Agro Industry reckoned for meeting farmers’ every need and providing them with excellent solutions. Orange Farm Equipments was established in the year 2013 in Gujarat, India. Our company is engaged in domestic trading of Power Reapers for many years. During this time, we have catered to numerous customers and turned many into loyal clients with our unwavering commitment, right pricing policy and ethical business practices. We are specialist manufacturer of Reaper brand named as Vardhaman Power Reaper. The impact of this innovation is evident today on over 90% of Asian farms and since expanded into the world market. There have been many changes in farming methods over the last 200 years and INDIAN farmers have had to be adaptable as well as resilient and inventive. We are working with farmers from since 1985 to make agriculture more productive and sustainable. So we are here to full fill the farmer’s need, because we understands the farmer’s need. We are the pioneers in manufacturing innovative high quality reaper brand named as Vardhman Power Reaper suitable for cutting all types of farming crops in India. With the goal to improve the agricultural conditions & profit margins of the farmers, we, Orange Farm Equipments are working hard. We are engineering and serving a range of Power Reapers that are designed to help farmers in their works. In the built full-fledged two production units all the products of our company are made with high accuracy and perfection. Our appointed 15 members team backs us in making the gamut and easily meeting the demands of the clients. Further, our well spread shipment network, constant research practices and focus on knowing the clients' feedback have helped us grow and set benchmarks in the domain. We have a world class research and development laboratory which ensures continuous product improvement, new product development and quality assurance. Vardhman Power Reaper is tested in Farm Machinery Testing Centre(FMTC). 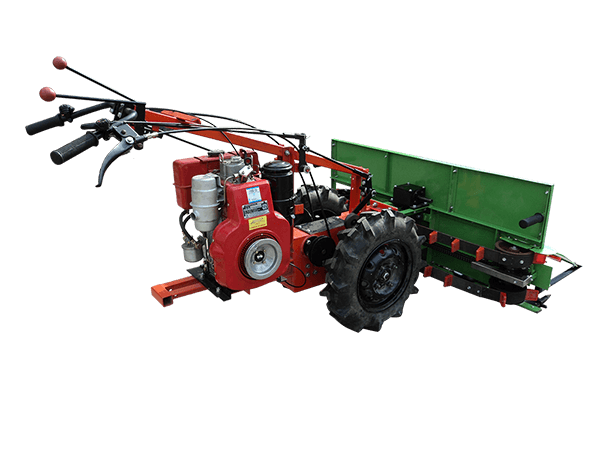 Orange farm Equipments is a leading agricultural, environmental and industrial equipment manufacturing company. We are committed to developing our operating systems using the world's best practices and have company-wide accreditation through the quality assurance programs. We have expanded into reaper manufacturing division of the company. Our technologies enable farmers to get more from every acre of farmland. We have Strong market network, Team of expert & dedicated professionals Assured quality at affordable price, Quick dispatch of order as per the given commitment. Uses of good quality raw-materials ,Valuable market experience. Our vision and goal for improved agriculture strives to meet the needs of a farmers. We made a commitment to sustainable agriculture - pledging to produce more, conserve more, and improve farmers lives by 2030. We've strengthened our goal to develop better cutter tools and improved on-farm practices that enable farmers to better manage environmental stresses. And we're working to make these tools of innovation available to the people who have the most direct relationship with the land - the millions of farmers around the world. The technology we use to develop better seeds and the partnerships we nurture to develop new agronomic practices can drive big increases in yield and productivity. We are well known for offering Power Reaper Servicing Solutions in Gujarat, India. We repair different types of Power reapers using advanced equipment and the latest technology. The Power Reapers we repair include 3FD Vardhman Power Reaper, 2FD Vardhman Power Reaper and 2FP Vardhman Power Reaper. Our technicians make sure the reapers are handled properly while repairing and give efficient performance. Owing to the expertise of our team, we are capable in completing even the bulk assignments on time. We provide Power Reaper repairing service at reasonable rates. Our belief that customer is always right and must be given top priority. We do business ethically and abide by laws. Our team of highly experienced and committed personnel. Our honest and transparent way of dealing with customers.